That old motorcycle in your driveway can be a destitute veteran’s ticket to a new life if you donate it to our Nevada motorcycle donations program. Do you know that following their discharge from the service, many of our former soldiers are now facing varying conditions of adversity? We would think that after their service and sacrifices, they’d return to civilian life without any trouble. Sadly, this is not the case for many of our veterans. Following their pullout from the battlefields overseas where they engaged America’s enemies, many of them came home bearing the scars of war — long-term physical injuries and disabilities and mental illnesses such as Post-Traumatic Stress Disorder, Traumatic Brain Injury, and depression. Compounding their woes, these veterans – including those who were lucky enough to survive the battles without a scratch – found themselves staring at a bleak future amid lack of employment opportunities and support from the government. According to the United States Census Bureau, out of 21,369,602 veterans in the country in 2014, 226,555 resided in Nevada and 1,369 of them were homeless. The veterans’ unemployment rate, as revealed by the Veterans Data Central, was also at an all-time high of 10 percent. Moreover, 7.4 percent of the veterans in Nevada lived in poverty while 18.1 percent endured service-related disabilities during the time of the survey. The current numbers might have changed a bit, but the situation facing many of our veterans is unlikely to have changed drastically. The reality is heartbreaking, and the figures are appalling. These veterans fought for us, sacrificed a lot, and risked their lives to give us the freedom and security that we all enjoy. As a way of showing our appreciation for their honorable service, it’s high time for us to do something about their current situation. One way you can do this is through our Nevada motorcycle donations program. To help our struggling veterans, all it takes is an old motorcycle and a big heart. It doesn’t even matter if your motorbike is in good running condition or not. .If you wish to donate your motorcycle through our service, call 877-594-5822 today! You’ll receive a maximum tax deduction worth your car’s selling price or its fair market value. To give you a general idea of the IRS rules, if your vehicle sells for $500 or less, typically you get to claim $500 or its fair market value, whichever is higher. If it sells for more than $500, you get to claim the total selling price. You can check online resources like the Kelley Blue Book so that you’ll have an idea of how much your vehicle is worth. You get to avoid unnecessary expenses for your motorbike’s maintenance and insurance! You don’t have to deal with heaps of paperwork! Our team of experts will handle all required documentation pertaining to your donation on your behalf! You’ll get to avoid the hassles of selling! Do away with the trouble of putting up “For Sale” signs, posting online ads, telling your friends and even random people about it, showing interested buyers the vehicle but then end up not being able to close the deal and all that jazz. You will be able to enjoy the much-needed additional space in your driveway! Your brand-new car would look good in there. You can take advantage of the FREE towing service! You won’t need to pay for pickup and towing because we’ll shoulder the expenses! Cost-free convenience at its finest! This will barely take five minutes of your time. All you have to do is pick up the phone and call us at 877-594-5822 or fill out our online donation form. Be ready with the general information about your car and your contact details. Depending on your most convenient time, we’ll arrange for a local professional towing company to pick up your motorcycle. The best part? It’s absolutely free of charge. Step 3. Receive your 100-percent tax deduction receipt! Once your vehicle is sold, we’ll send you a receipt of the sale via mail. You will need this document when you itemize your tax deductions on your next IRS tax return. You can help make Nevada a much better place by donating your unwanted motorcycle! 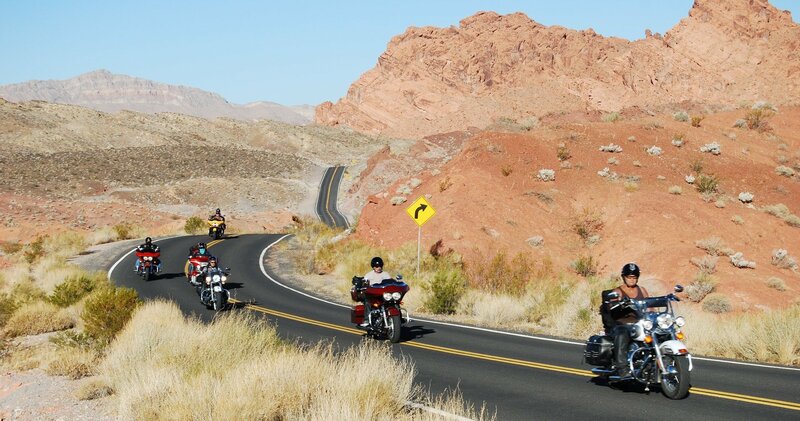 Call us at 877-594-5822 and get free towing services for your Nevada motorcycle donations!